GEORGIA. Pankisi Gorge, a Chechen refugee settlement. January. 2008. Kindergarten. A boy with green eyes, Omaar, 7 years old. 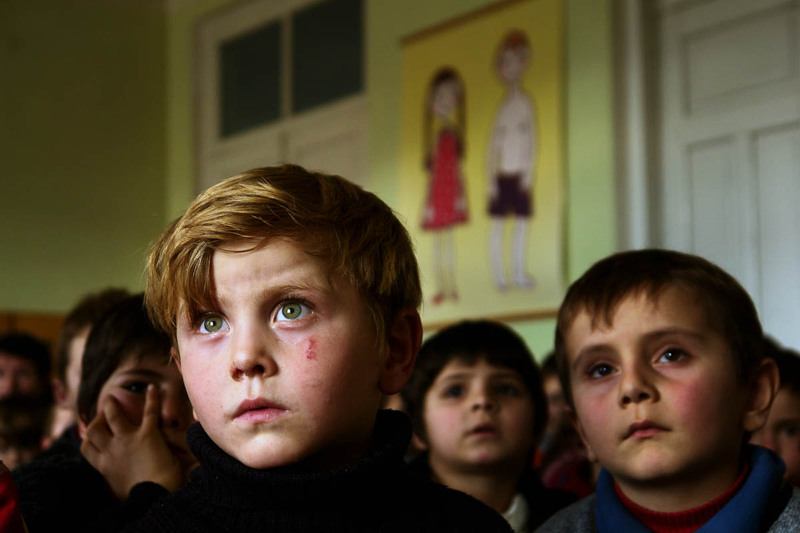 Omaar's family was bombed during the Chechen war while he was just a baby. He was left with his grandmother, who survived the bombing.